The Brewers get to see the Soup Nazi on the mound Wednesday night. Yes, the VERY Soup Nazi which yours truly is absolutely obsessed with (just run a search on Suppan in the site’s search bar above). I have nightmares from this guy pitching and still believe the Cardinals paid him to infiltrate the Brewers clubhouse. Soup, who has been a journey man over the past few seasons, has been part of the Cardinals, Giants, Royals, and Padres since leaving the Brewers in 2010. It had to be one of the worst contracts Doug Melvin ever was a part of. 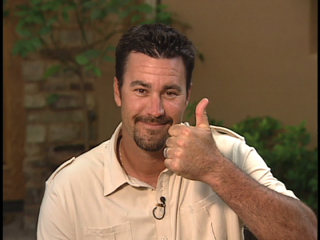 Suppan was 29-36 with a 5.08 ERA over 4 seasons which the Brewers paid him $42 Million plus $2 Million to buy out the 2011 team option when he got cut in 2010. Yep, a small market club ate $14.5 Million in 2010 just to get rid of a hang nail named Soup. He was driving fans nuts. So much so, that one fan decided to sell Soup on Ebay and the winner received Bill Hall for free. Well, I hope that Soup’s former teammates don’t take it easy on what is easily one of the worst contracts in Brewers history. Don’t get me wrong, Suppan seems like a great guy but as a fan who he let down, he can’t be surprised by the hostility the state of Wisconsin may have against him.